Go on a grand adventure through the heavens and the earth to defend all creation from God’s enemies! Play as both an angel and humans, each with their own unique abilities, to navigate diverse worlds with fierce adversaries from the devil and his fallen angels to rock-throwing giants. Experience the cosmic conflict between good and evil, and use your skills to overcome the enemy’s schemes from the beginning of the universe to the Great Flood in the days of Noah. Help God restore all His enemies stole from Him, from the scrolls of heavenly mysteries to animals who need you to guide the way to Noah’s Ark. You will need both puzzle-solving techniques and perseverance to succeed. Word Nexus is multiple games in one. You are given a Word to solve (spell). While letters float around the screen, you drag them together to make the Word. You have to spell the Word in order or the letters will crash. Play this game now while it's free! Help the Dinosaurs avoid extinction! The Asteroids are coming and trying to destroy all the Dinosaurs. 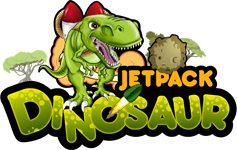 Play as a Tyrannosaurus Rex (T-Rex), Triceratops, or Pterodactyl. Play as a boy or girl dinosaur! The flying asteroids are trying to destroy the dinosaurs, but the dinosaurs have an advantage, they can fly with Jetpacks, and shoot explosive cactus bullets that completely destroy the asteroids. Ah those pesky demons! Always trying to ruin your day. Now you can get satisfaction by smashing and casting them out! 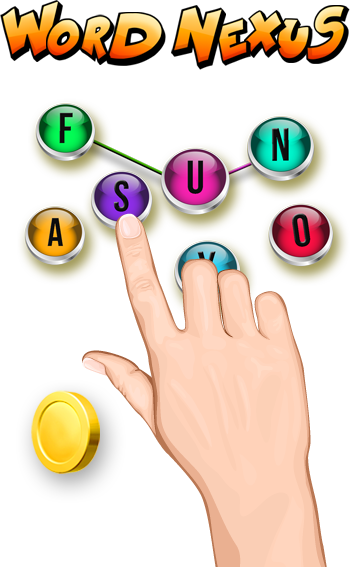 Use one hand or two, and tap away as fast as you can to squish those demons until they pop. The further you get, the faster they come. See if you can beat the high score. Help your friend catch all the free candy falling from the sky! 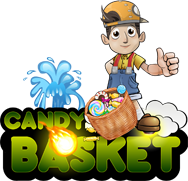 Use your basket to catch the treats, but watch out for the fireballs trying to burn your basket! Catch all the FREE CANDY falling from the sky! Collect the Power-Up Red Gummy Bear that destroys all Fire Balls and auto-collects all the Candy on screen. Unlock new Friends! Boy and Girl versions! Four (4) Friends in all! Save your Basket, shoot water at the fireballs! © 2019 All Rights Reserved by integritygames.com.